One of the things that I like the most about giving a workshop, is that it creates an opportunity for me personally, to revisit material. It is a bit like returning to a city in the role of guide. Your orientation needs to better. You know what you missed and what you would like others to see. There is more concentration, planning and appreciation. The workshop currently inspiring me, will take place next Sunday in Amsterdam, and is called ‘the deepening’ and the group will be exploring the current sextile between Saturn and Pluto, and the Uranus, Pluto square. At the moment, Saturn and Pluto, are in each others sign, so they are committed to a working relationship, while the ongoing Uranus, Pluto square, is deconstructing deep old patterns of thought and behaviour. With Uranus, nothing is safe. What all three of these planets currently share, is a powerful, positive relationship with Mars. Saturn and Uranus are Mars ruled, while Pluto exalts Mars. 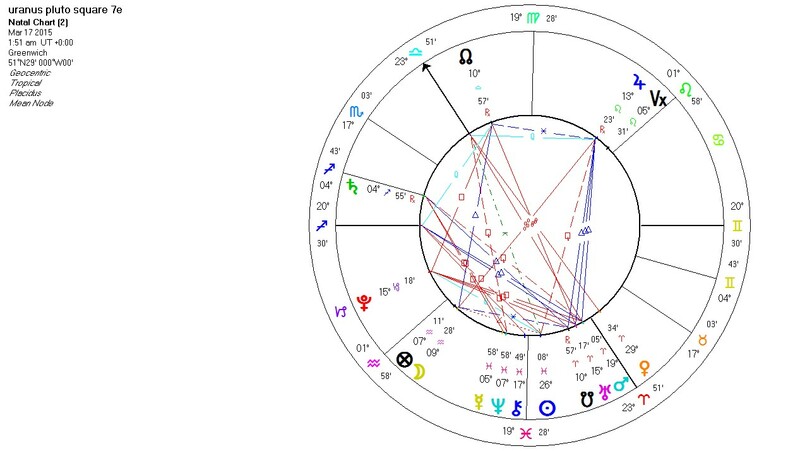 With the North Node position also in Mars ruled Scorpio, major themes connected to archetypal Mars energy dominates the evolutionary picture. Mars goes beyond the adrenaline of fight or flight. Goes beyond war, aggression, passion, fury, anger, blood, fear. Mars is directly linked to the desire nature, which is the motivating factor many believe, in incarnation itself. It feels as if there is a golden opportunity here to ‘burn off the dross’ as the old alchemists put it, in order to reveal the hidden essence. In a way, this is exactly what a crises does. A crisis often presents an opportunity to break down barriers which then releases the creative, healing potential of the self. Breaking the bonds that bind, cutting the thread, are positive metaphors for Mars that come to mind. Mars can be the spiritual warrior too, who has the power and drive to move us forward. Going back over material from 1998, the year I was studying to be a reincarnation therapist, reminded me how powerful Mars can be. 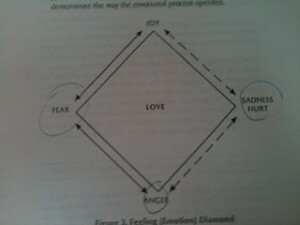 Dr. Arthur Melville, came up with the idea of the emotional diamond. Anger is the opposite of joy, and the only way to joy, is by completing and working through the fear, hurt and sadness that took us away from joy in the first place. It is only by identifying and working through the negative emotions and thought patterns that we can evolve. This takes considerable courage, which is one of the most positive of Martian traits. One of the most valuable lessons of Saturn and the North Node in Scorpio, is connected to understanding the emotional value that pain can have. When things come to a head – and they often do come to head during such Scorpio tinted times – if we can cut deep enough, then it will provoke a much deeper assessment of where we are in our lives. The resulting transformation can be powerful and when we look back, we recognize the positive value that pain has in promoting growth. What we should be committed to at the moment, is working through the negative Scorpio emotions. Pluto, is lending assistance, keeping the process on track, promoting change AND ensuring it is solid and structural. One of the points Jeff Green makes about Pluto springs to mind. Evolutionary change, JG claims is usually an ongoing process. However sometimes, cataclysmic change is necessary. He draws a parallel between the meteor that hit earth and wiped out the dinosaurs, whereby changing the course of life on our planet. Cataclysmic change, is very Plutonian, and therefore initiated by the deep need of the soul. Problem is when cataclysmic events take place, we try to understand them, which in most cases is impossible. Then we have Uranus, the big game breaker, in independent, me first Aries. Ready to leap into the great unknown with all the bravado and confidence of a five year old. You want dragons slaying? Here’s your man. Uranus is up for a challenge, any challenge will do, Aries is not particular. Direction his not his strongest character trait. It’s all about the big adventure, this guy is hungry to break out on his own, to take a new direction. Uranus/Mars/Aries… needs some constraint, some direction, a guiding hand, though he will never admit it. He is rather like a teenager who needs boundaries to cut his teeth on. Pluto is the task master that Uranus is eager to break away from… and yet Uranus has some important lessons to learn from this encounter. Not the least of which, is about staying the course. Keeping the faith. Especially important is being true to oneself. Uranus moves faster than Pluto, and is destined to leave Pluto behind in conservative Capricorn, while he storms ahead through Aries. The horoscope for the last square between the two planets, tells its own story (March 17, 2016, 01.51, Greenwich – see horoscope below). The firey trine between Jupiter and Uranus, embraces new frontiers, leaving Pluto in Capricorn to climb the mountain slope, alone. On the 27th or the 28th of September, I will be speaking at the Conference of the Astrological Association of Great Britain, in Cambridge. The theme this year is, “The Magic of Astrology”. 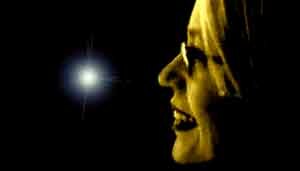 Dit bericht is geplaatst in Astrology English, mundane astrologie en getagdmars, Pluto, Saturn and the North Node in Scorpio, Scorpio, spiritual warrior, Uranus. Bookmark de permalink.